Suite Size 366 - 1093 sq. ft.
Welcoming the newest addition to the Daniels Waterfront - City of the Arts community. 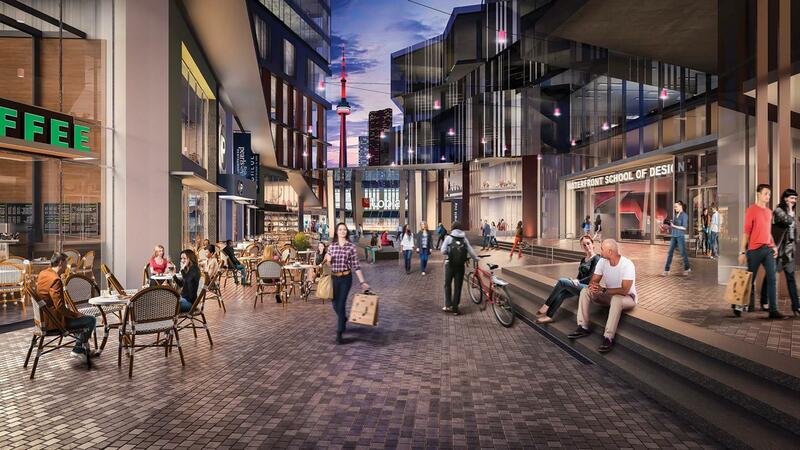 Units possess a stunning view of Toronto's waterfront, and have unparalled walking and transit accessibility. 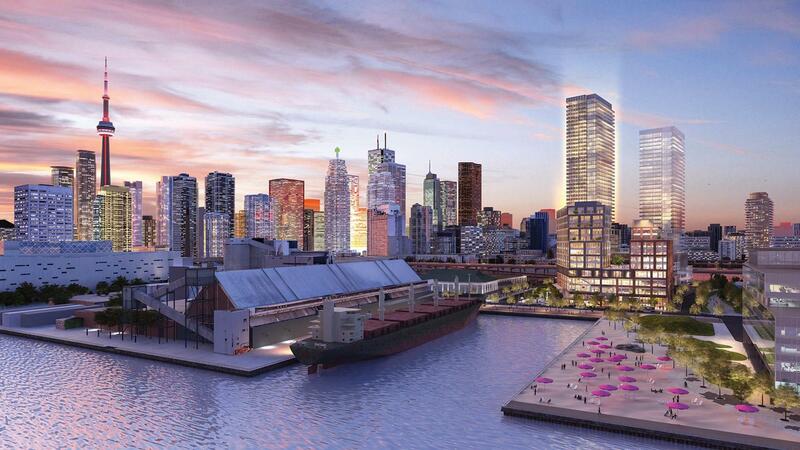 These towers are bound to become unforgettable landmarks along the Toronto skyline! 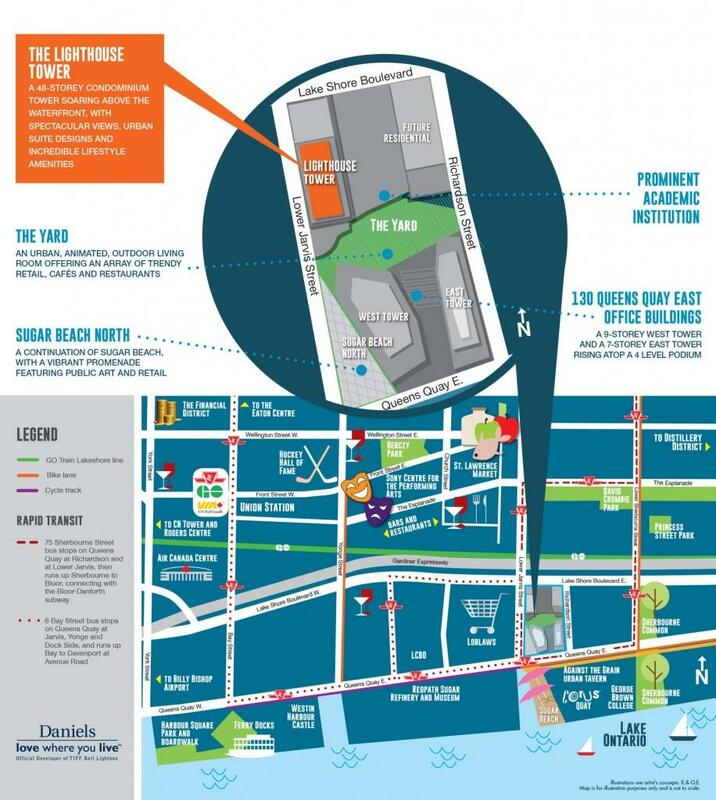 The Lighthouse East Tower is seconds away from Daniels Waterfront's The Yard, Sugar Beach, and many other locations filled with excitement during a night on the town. Grab a coffee with friends, catch a show, or go on a nice walk along Toronto's waterfront. The options are endless! 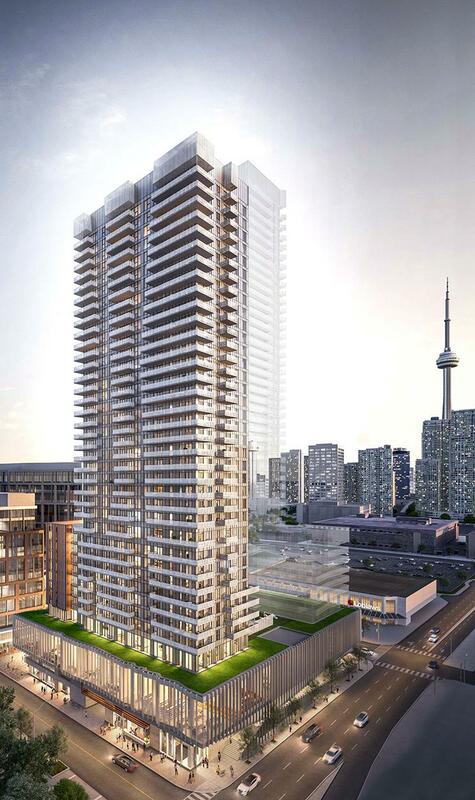 Daniels Waterfront - Lighthouse East Tower - Contact Us! 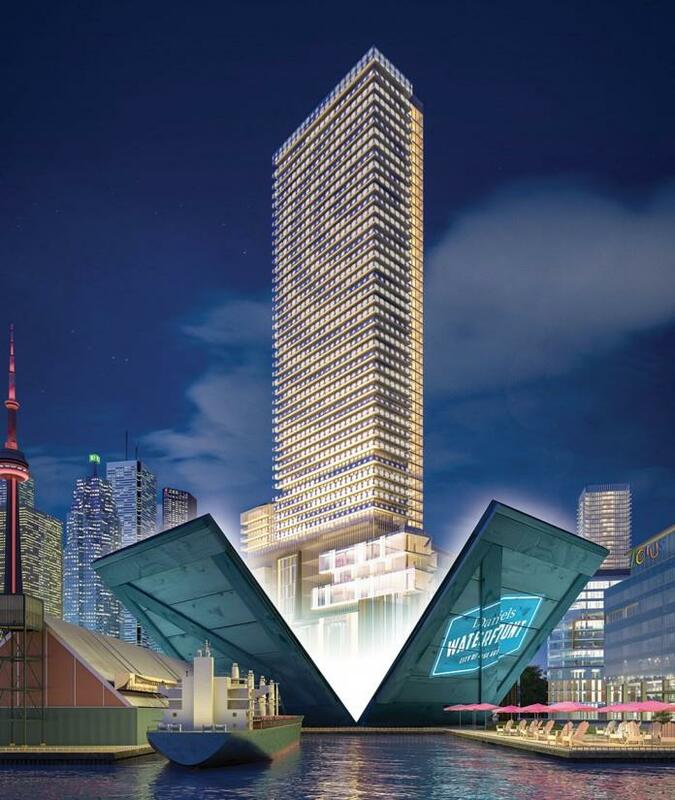 Looking to find out more about Daniels Waterfront - Lighthouse East Tower? Contact us below!